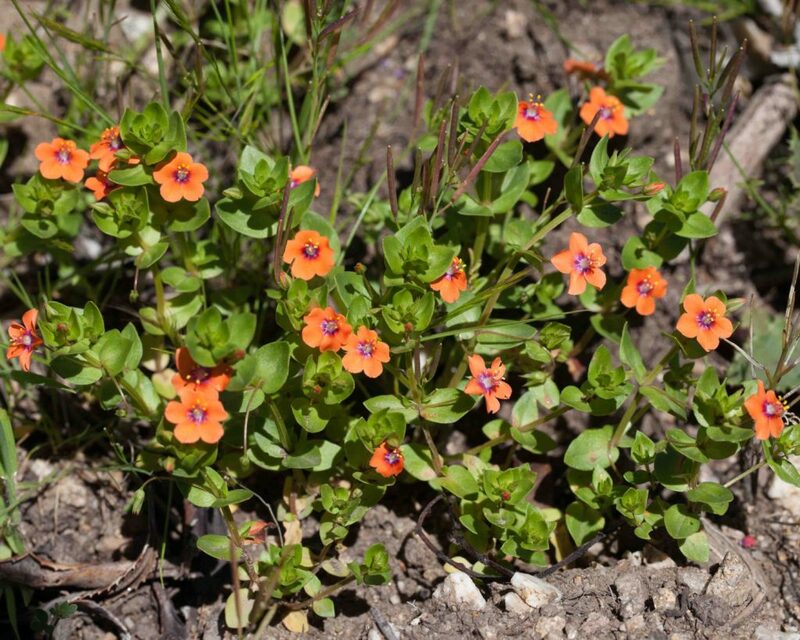 A very common plant with flowers that are, despite the common name, normally closer to orange than scarlet. 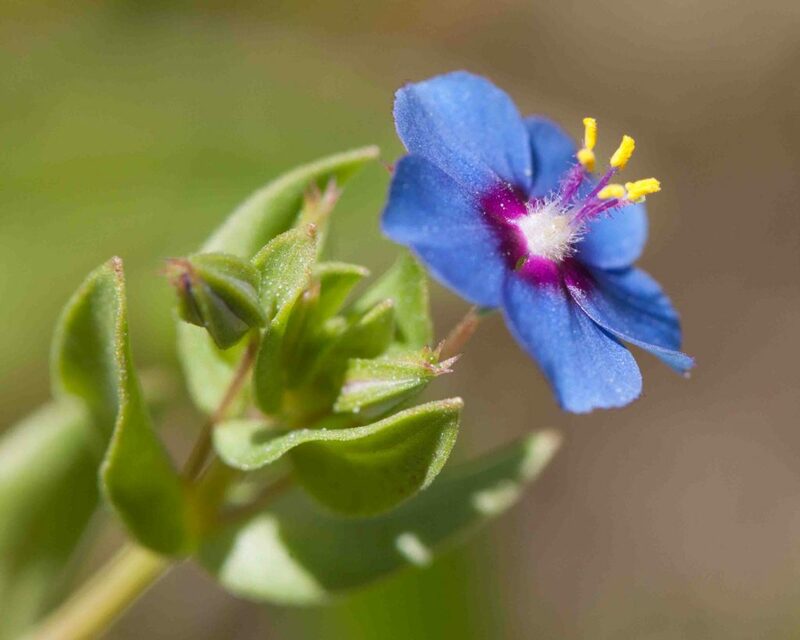 It can also be found in pink, blue and red forms. 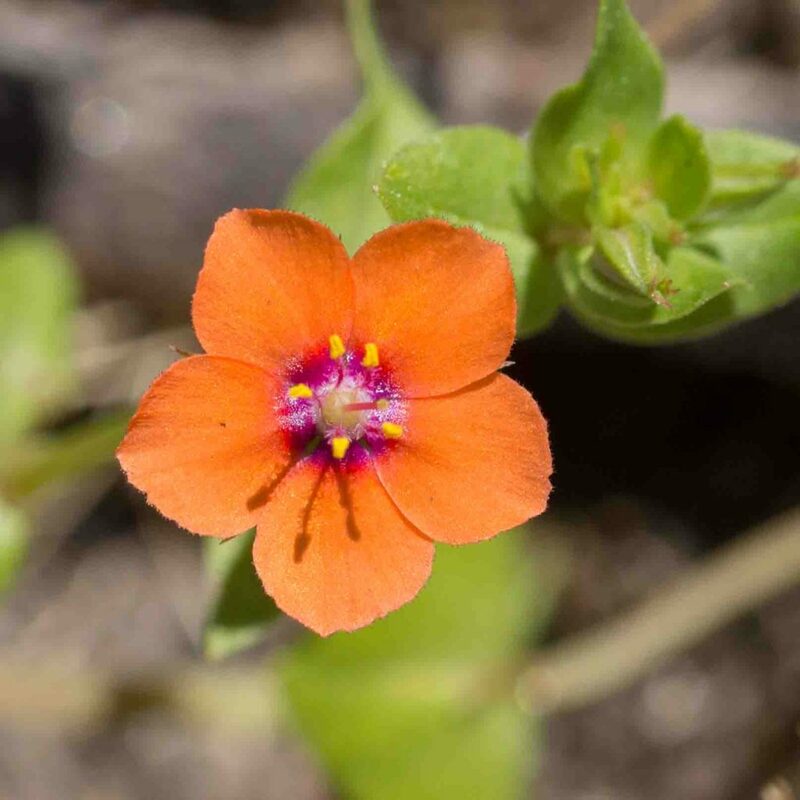 A close look at the flower is rewarded by showing its range of colors, including reddish-purple bases to the petals and bright yellow anthers. 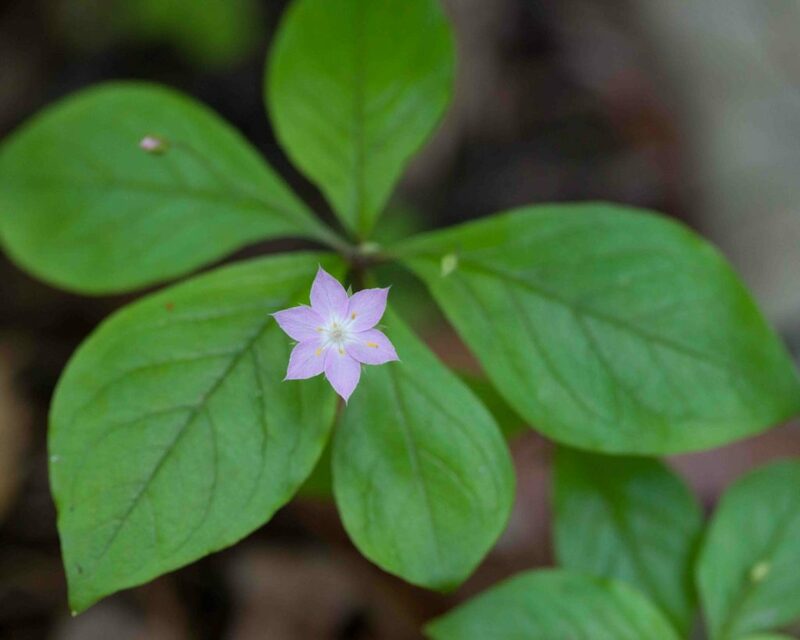 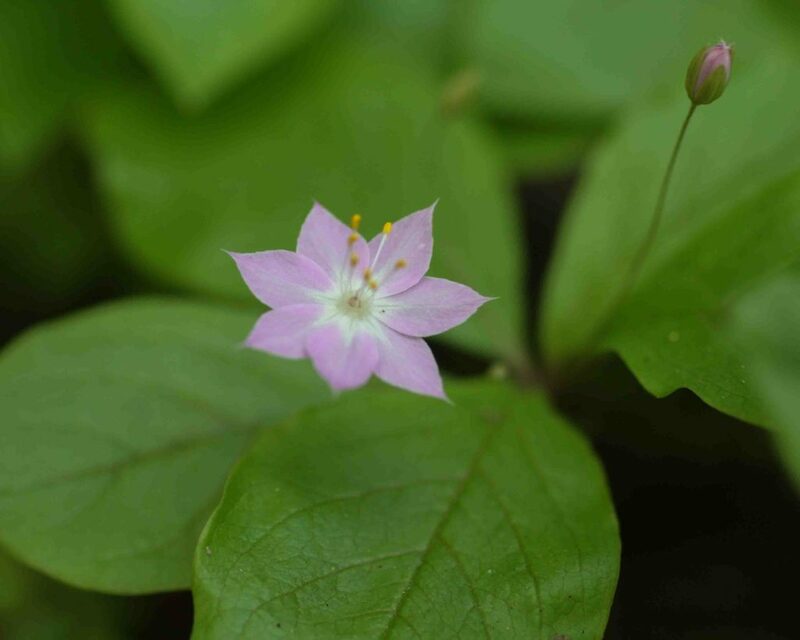 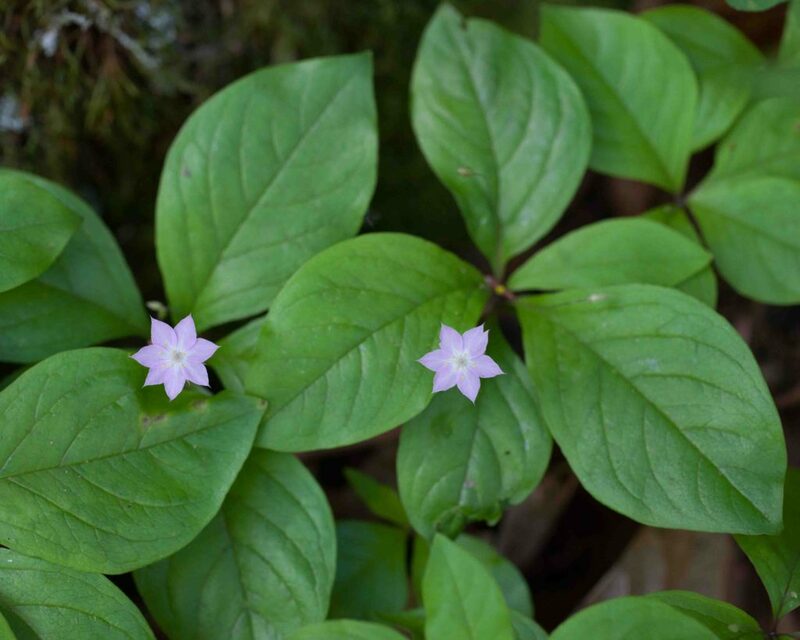 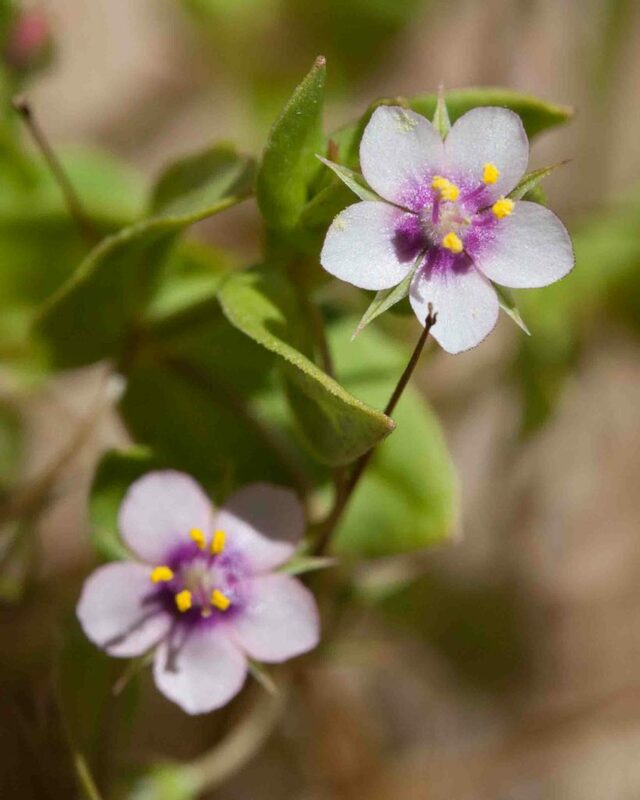 This low-growing plant has small, star-shaped pink flowers with 5–7 (occasionally 8) petals and long, slender stamens. 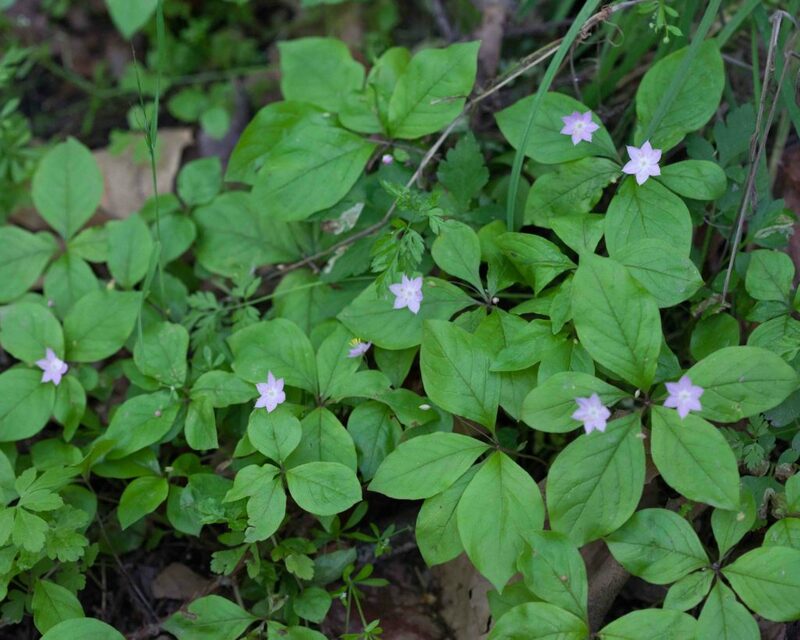 The large ovate leaves are in a whorl with 2 or 3 flowers arising from the center of the leaves on separate, thread-like pedicels.